For a community struggling with job loss and economic downturn, the last need you might think about is good art. But for three communities, art is exactly what they needed. The city of Rockland in the Midcoast region of Maine was known for more than a century as a fishing community, particularly for the fish-processing plants that dotted the small town’s waterfront. But in the late 1980s, in response to a growing disdain from the community regarding the smells emanating from the processing industry (along with fine-heavy, anti-odor legislation), the city’s largest remaining fish-rendering plant closed its doors. Add this to declines in fish stocks, and the traditional base of Rockland’s economy was rapidly changing. The limited tourism at the time was largely centered on a single resort with a golf course. But one resort cannot supplant an entire fisheries industry. How is it then that Rockland has become one of the most desirable tourist destinations in the state? Much of it can be traced back to the Farnsworth Art Museum. The Farnsworth Art Museum was founded in 1948, but its standing as a home for fine American art increased greatly when it developed a relationship with the renowned Wyeth family. Each of the three generations of painters (N.C. Wyeth, Andrew Wyeth and Jamie Wyeth) had homes in nearby towns. As the museum’s reputation and annual visitor count grew to 60,000 annual visitors, other businesses and galleries sprung up to accommodate. The development culminated in the opening of the Center for Maine Contemporary Art (CMCA) and a new five-story hotel this summer. However, despite its important role in the community, the Farnworth suffered from long-deferred maintenance. Its endowments are restricted to art purchases and museum programs, leaving little cash to maintain the museum or its collection of historic properties. An investment made through the Maine New Markets Capital Investment program, modeled after and paired with the federal New Markets Tax Program to bring investment into low-income communities, allowed the museum to make the repairs and upgrades it needed to continue its role as an anchor in this arts economy. The CMCA and the Farnsworth are expected to generate $88 million in annual economic activity in the region. At the same time, the city of Worcester, Massachusetts, is experiencing an economic renaissance thanks to a different kind of art, theatre. Today, the Hanover Theatre for Performing Arts is the centerpiece of a burgeoning arts district that hosted 168 events and over 190,000 visitors in 2015. But as with many America’s historic theaters, it took a long road to get there. Originally built as the Franklin Square Playhouse in 1904, the theater hosted touring productions of plays and musicals. But with the advent of silent films in the 1920s, it was converted into a grand movie palace with chandeliers, mirrored walls and marbleized columns. The theater, now known as the Poli Palace, continued to be a staple of Worcester’s downtown with the rise of talkies and maintained a steady patronage through the 1950s. As with many similar movie palaces, its grandeur was chipped away with multiple changes in ownership and a conversion to a multiplex in the 1970s. But even four screens couldn’t save the Poli Palace, as Worcester felt the national trend of families moving from urban centers to the suburbs. The city lost 20 percent of its population from 1950 to 1980. The final nail in the coffin for the theater was the opening of a multiplex on the outskirts of the city. And in 1998, the former grand palace that once brought “something of rare beauty and dignity and comfort” into the everyday life of the community, became just another shuttered building in an increasing empty downtown. But in 2000, a local executive with an interest in the performing arts saw a “for sale” sign on the building, and the revitalization of a downtown began. That executive, Edward P. Madaus, formed the nonprofit Worcester Center for Performing Arts, which began the work of raising donations, grants and private capital to fund the $31 million renovation. Tax-incentivized investments made through the federal Historic and New Markets Tax Credit programs targeted at preserving historically significant properties and revitalizing economically distressed communities provided the final pieces of the financing puzzle. The Hanover Theatre, as it is now called, held its first live performance in 2008, and opened the doors for more investment in Worcester’s surrounding downtown. Motivated by the success of the Hanover Theater project, and hoping to benefit from the increased foot traffic of the theater’s patrons, the Worcester Business Development Corp. decided to concentrate on redeveloping downtown. It named the new Theatre District the focal point of those efforts, and put $42 million into purchasing and renovating the other major property in the area, a former newspaper facility. It's now home to Quinsigamond Community College and an innovation center/incubator space for startup entrepreneurs. These developments are only the first steps in Worcester’s recently released $104 million Urban Revitalization Plan anchored with the Theatre District. And that doesn’t even include the $565 million City Square project already underway by private developers just a few blocks over, or the $5.5 million renovation of 551 Main St. near the Hanover Theatre. In remote West Texas, the town of Marfa (pop. 2,191) is quietly reinventing itself as an art-tourism destination. The funky and eclectic art showcased in and around the city is the darling of today's fashionistas and glitterati. 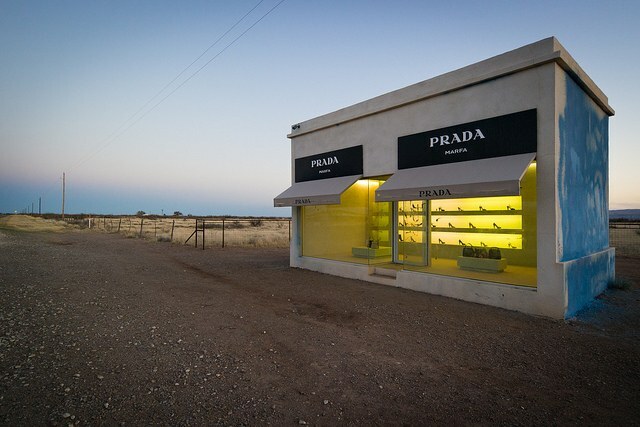 They came to see the now iconic pop-up recreation of a Prada shop, along with Marfa's vast public art installations and a burgeoning live performance scene. But the small number of local hotel rooms and an underdeveloped downtown limited the town’s ability to capitalize on its creative resources. The Marfa Growth and Revitalization plan uses art as an anchor to ignite an economy with a poverty rate of 19 percent, according to the U.S. Census. The central development of the project is a hotel, restaurant and event space that will create an estimated 116 new jobs, all of which will pay above the living wage for a single adult and provide strong benefits. The project also includes the Crowley Theater, which provides performance space to nonprofits and community groups free of charge. Again, the development received lynchpin financing through federal tax credits designed to incentivize outside investment. Art, whether in the form of theater, dance, painting or sculpture, has the unique ability to bring people together. This could mean working collaboratively to bring an artistic vision to life, or sitting side-by-side to share the experience. The arts can introduce patrons of all ages to new perspectives, cultures and views on the human condition. In the best cases, as it has in the communities of Marfa, Rockland and Worcester, that sense of cooperation and innovation pushes its way past the doors of the galleries and stages into the wider community, sparking a revitalization. So, does an economically depressed community need good art? I’d say they need it most of all. Leah Thibault is Director of Executive Administration and Projects for CEI Capital Management which creates and preserves jobs and improves quality of life in rural, low-income communities nationwide by providing businesses and nonprofits access to project capital, primarily through the Federal New Markets Tax Credit Program.